Down the Dirt Road Blues in a Wyoming junior high band room. Spencer talks with Montana high school students after his performance. 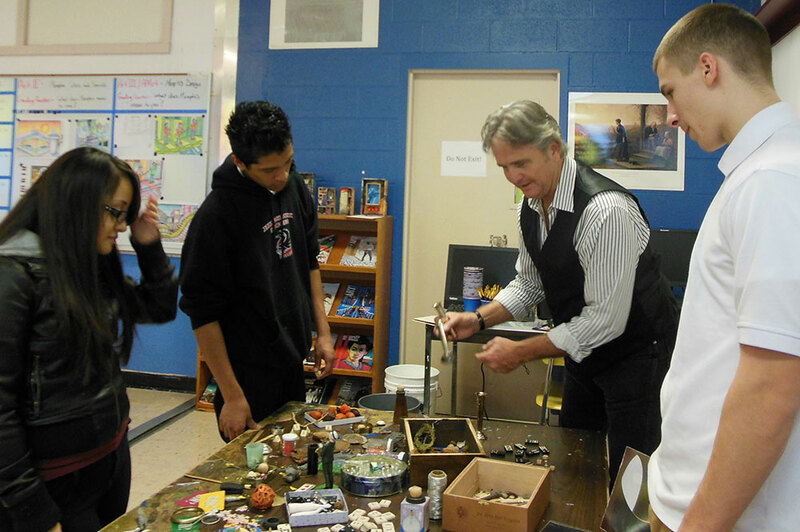 Teaching art in a Memphis high school. Music session with a Montana grade school. Memphis high school art student. Spencer Bohren is uniquely qualified for residencies in universities, communities, and schools. From discussions of American roots music and its social connections, to art workshops and tackling the music business on your own terms, Spencer adapts his presentations to the audience, connecting directly with all age groups. Residencies are available from two days to one week and can include both music and art. Call Spencer to discuss community possibilities.